Our team has over 30 years of Professional Sales Experience and Marketing success that we bring to each Client we consult with. ADV has helped many Fortune 500 companies improve their bottom line while holding their expenses flat. We specialize in applications around Field Service automation. We strive to add value at each stage of our consulting experience. We are blessed to manage a strategic partnership including Field2base digital forms platform that solves the paper issue and transforms companies into the digital age overnight. 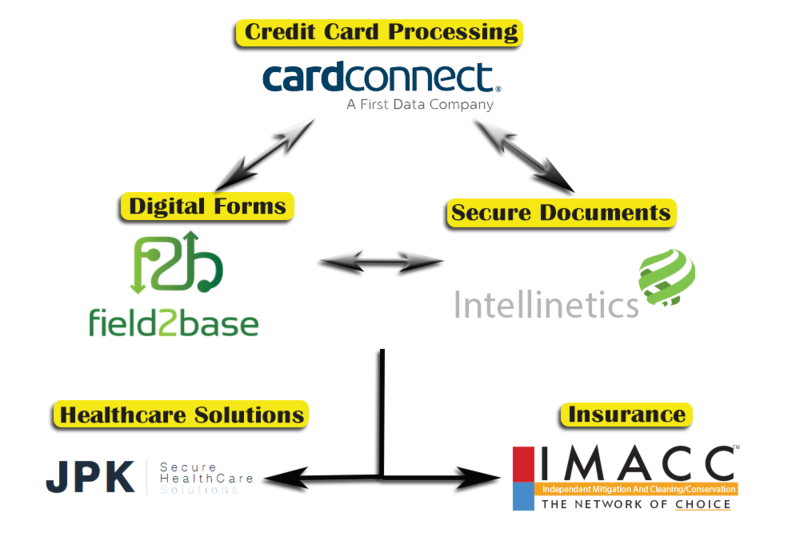 We have integrated the Premier merchant processing tools powered by First Data, the worlds largest merchant processor into both systems delivering an incredible offering to the market for Quickbooks users also including SAP, Sage, Great Plains and many others. This allows for the highest PCI compliant field solution in the market. We have digitized invoices, bids, inventory and Credit cards for thousands of Plumbers, HVAC, Construction and Electrical Contractors across the Nation. We are also excited to add Objectif Lune a premier software platform that is a world wide software with thousands of successful implementations. They deliver a state of the art Electronic delivery solution integrated with First Data for Field Payment. We have also integrated with JPK Secure Health to our Healthcare Portfolio. JPK works with many providers including Blue Cross & Blue Shield, Humana and many other providers in the USA. Want to Save Money, Time, Improve Efficiency? Copyright © 2018 Advance Solutions Group. All rights reserved.